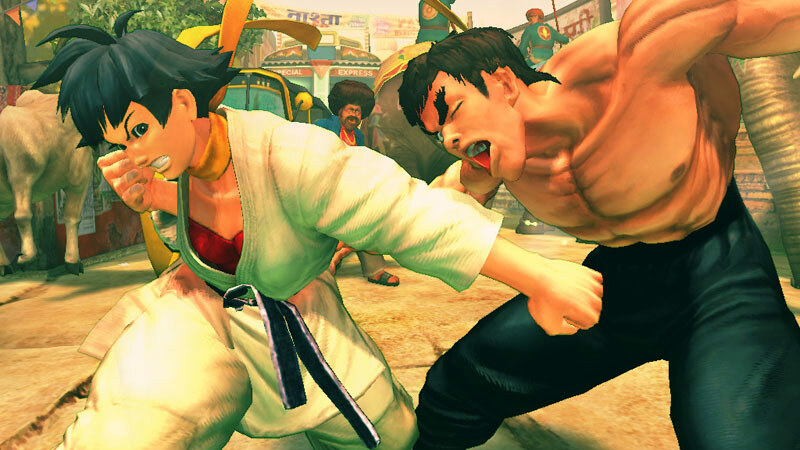 A lot of news about the confirmation of Dudley, Makoto and Ibuki in Capcom's Super Street Fighter IV have been popping up all over the web. I guess the most important thing we need to see is what each new fighter's Ultra would look like. I'm assuming Makoto's Ultra would deal sick damage with where she's hitting Fei Long. So go ahead and check the break for the full on video of each new character's Ultras. • She can Super Jump like C. Viper and apparently Cancel some of her normals with her Super Jump as well. • Super: Kasumi Suzaku — Ibuki's projectile throwing Super from Third Strike. She unleashes a barrage of kunai and shurikens after leaping into the air. • Ultra 1: Yoroi Dooshi — She attacks her opponent with her fist and elbow making a big energy ball come out. • Ultra 2: Hashin Shou — This is from 2nd Impact, it wasn't in Third Strike. Ibuki performs a series of attacks and follows up by throwing a ton of her kunai (daggers). • Super: Tanden Renki/Semenokata — Unlike in Third Strike, Makoto can now block when she does this Super and can also perform her Ultras while it's activated, it's still timer based. This pisses Makoto off and makes her attacks take off more power. • Ultra 1: Seichuusen Godandzuki — Performs a series of really powerful punches. • Ultra 2: Abare Tosanami Kudaki — Makoto's off the wall jump attack, she follows up with some upwards punches after she lands. • Super: Rocket Upper — Dudley performs multiple Jet Uppercut attacks. • Ultra 1: Rolling Thunder — Charges him forward and he connects with several powerful punches. • Ultra 2: Corkscrew Cross — Somewhat like the Corkscrew Blow Super Art in Third Strike, but seems to do more damage.